Annapurna Circuit trekking is regarded as one of the popular trekking routes in the Annapurna region located in the western part of Nepal. 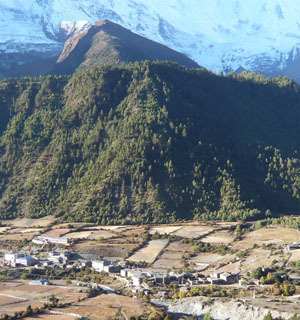 Annapurna circuit trekking presents striking panorama of Himalayan including Mt. Dhaulagiri (8167m. ), Mt. Manaslu (8163m. ), Mt. Annapurna I (8091m. ), Mt. Nilgiri (7041m. ), Mt. Annapurna II 7937m , Mt. Annapurna III (7555m. ), Mt. Annapurna IV (7525m. ), Mt. Annapurna south (7219m. ), and more. The highest peak of Annapurna circuit trek is Thorung La pass (5416m.) which is difficult pass of Annapurna region. Along with the sublime beauty of gigantic peaks, you can also discover life styles and customs of the local people, who are living in these areas for centuries. The captivating aspects of Annapurna Circuit Trekking are village of Manang, Thorung la pass, Muktinath temple and the deepest ravine, Kaligandaki. Also, terraced fields, mixed oak and rhododendron forest, the blossoming rhododendron forest, Chame, Braka, Upper Pisang, Ngawal, Ghyaru, Manang, Khangsar village, Milerepa cave, Marsyangdi River, Kagbeni , Jomsom and more. Also, you will enjoy seeing different species of animals such as musk dears, jackals, leopards, mountain Thar, birds such as pheasant, long tails birds and more. Overall, 100 mammals, more than 60 reptiles and amphibians, in excess of 450 species of birds and 9 types of rhododendrons can be spotted in this region. 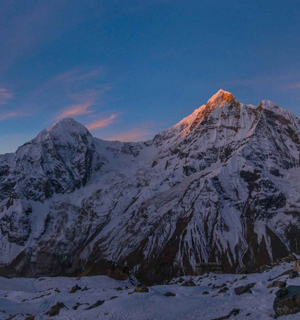 Favorable season for Annapurna circuit is from March to May and September to December. 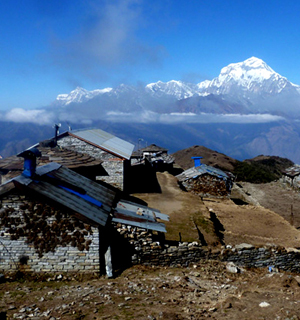 Annapurna circuit trek is exciting but not a challenging trek. Travel around Annapurna with Encounter Nepal and make this trip unforgettable one. Day 1: Kathmandu to Besi-Sahar (175 km/ 7-8 hours): Drive by bus/car. Day 2: Besi-Sahar to Bahundanda (1250 m.): Trek. Day 3: Bahundanda to Chamje: Trek. Day 4: Chamje to Dharapani (1890 m.): Trek. Day 5: Dharapani to Chame (2715m. ): Trek. Day 7: Pisang to Manang (3350m. ): Trek. Day 8: Manang (Acclimatization Day in Manang): Rest. Day 13: Kagbeni to Marpha (2670m. ): Trek. Day 15: Ghasa to Tatopani (1190m. ): Trek. Day 17: Tatopani to Shikha (1920m. ): Trek. Day 18: Shikha to Ghorepani (2855m. ): Trek. 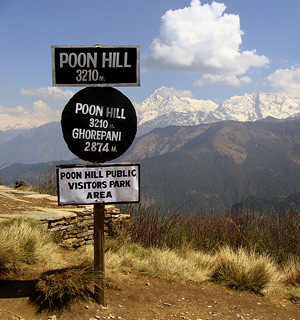 Day 19: Ghorepani to Poonhill (3210m.) to Tadapani: Trek.